HVAC training is the most important in the design of medium to large industries and domain of building service. +–What is the objective of hvac course? HVAC stands for Heating Ventilation and Air Conditioning. HVAC training is the most important in the design of medium to large industries and domain of building service. HVAC design is the major sub discipline of mechanical engineering based on the principles of thermodynamics, fluid mechanics and heat transfer. +–Who should attend hvac course? HVAC QA/QC engineers, design & project managers. 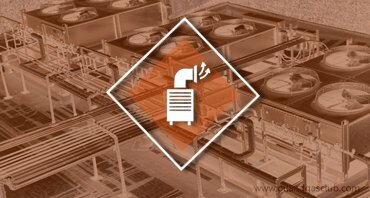 +–What is the duration of hvac course? Improve your knowledge and skills about HVAC taught by our industry experts. You can get a world class training and best practical session from oilandgasclub in both online and direct mode. Enroll today. ▸▾Career opportunities of this course ? ▸▾Pay-scale of HVAC Engineer ? Mumbai is a metro city of Maharashtra. The city have 8 number of chemical engineering colleges and give nearly 90 to 95% of results, mechanical engineers also move as pv designer. Most popular core companies like petrofac, technip, larsen & toubro, techint are have their operating centres in Mumbai. There is a bunch of opportunities for piping lead engineer to both fresher & experienced professionals. Enroll now & build up your career with us.